Anyway I thought it was such a bargain I had to share it! It’s a linen cotton mix and I thought it was a such a classic shape that would be just as perfect for the office as the school run or summer holiday. 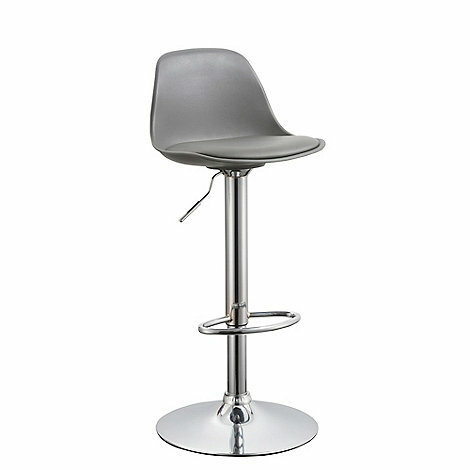 And in case you are interested, these are the bar stools I have ordered. Also a total bargain and they’ll wipe clean. While the children are still young and mucky pups, I am not willing to spend a fortune on things like this. £40 a stool will do very nicely thanks! Short and straight to the point today! The dress you’re wearing is not the same as the dress you feature from Debenhams. The neckline and cut is v different, maybe there’s a problem with the link. Just checked. It’s definitely the dress I’m wearing. Are you clicking on the similar here link maybe? Sorry I thought you were referring to the red dress from yesterday. 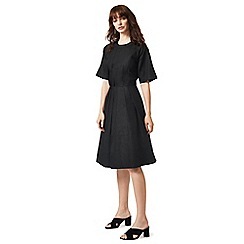 My mistake’ 😳 The black dress on the feature pic for the blog is an old dress (not current) was just trying to show the versatility of a black dress. I don’t own the Debenhams one, was merely alerting to a good buy! Definitely a different dress, the shop picture of the dress is different too. I really like the one you feature though Chloe, as it still Debenhams and if so, what make ?